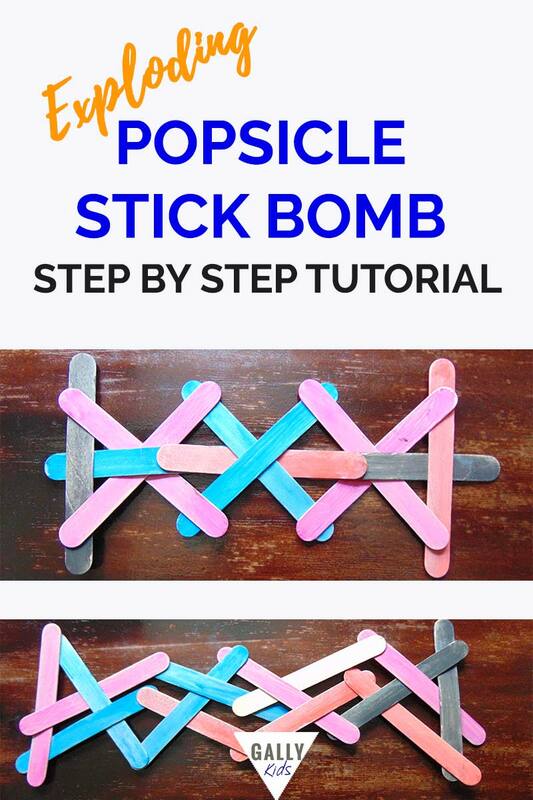 You may have seen a demonstration of the popsicle stick bomb at some point in Youtube (it’s all over Pinterest too!). It’s even in the Guinness Book of World Records. 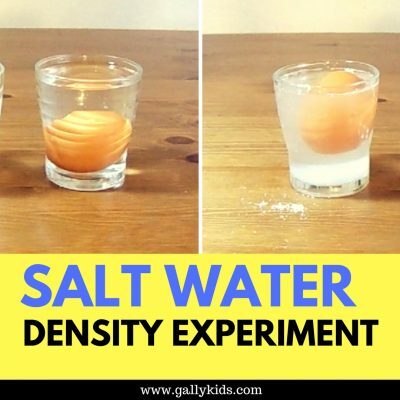 It’s a fun activity that you know kids would love to do. And it’s also a good starting point when you’re studying all about potential and kinetic energy. 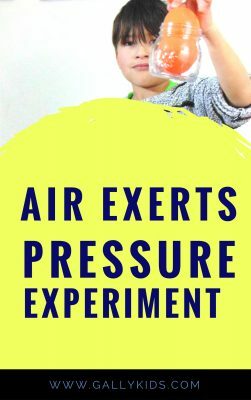 You don’t to buy any Science kit or toy for this Physics experiment. However, if you want a dramatic effect, you will need lots of popsicle sticks — hundreds preferably. And you will need lots of patience too. This isn’t an easy one to do with preschoolers unless they’re really patient and can wait while you patiently arrange the popsicles together into a chain. Older kids will have a “bomb” though! I advice wearing goggles throughout this whole Science experiment. It may seem unlikely for a stick to hit you if you’re careful enough, but it could still happen. 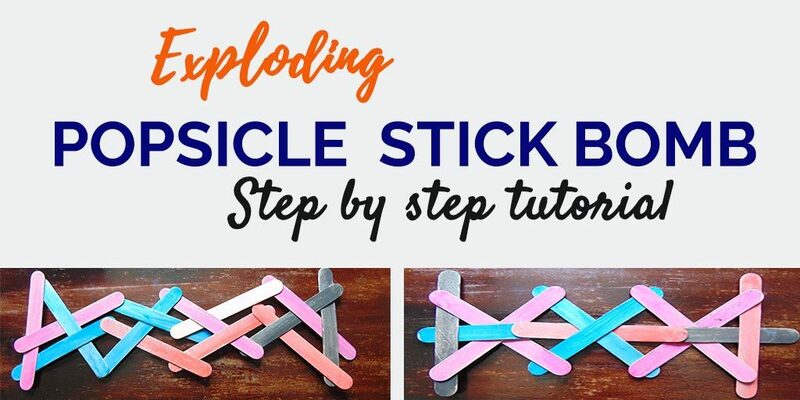 There are many different ways to make the exploding popsicle stick bomb. Below are videos of some Youtube tutorials that are easy to follow. Start with one that’s easiest for you to do and move on to bigger and better creations if you are so inclined. Here’s a mini cobra weave with an easy to follow step by step instruction too. The step on how to make a turn (1:52 mark) is very well explained, too. 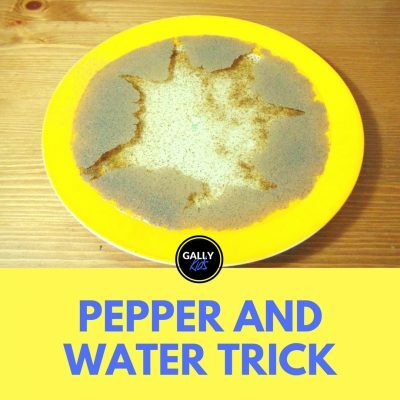 Tip For beginners: To make this even easier for you, start by using two different coloured popsicle sticks. This makes it easy to keep note of what you’re going to do next. This is a very basic weave and can also be a good starting point for beginners. Unlike many of the popsicle chain experiments you often see, this weave is square. It doesn’t have a lot of power but it still does the job + did I mention it’s easy to make? The diamond weave is a little bit more complicated but just as fun. Here’s the Kinetic King with a tutorial on how to do this. 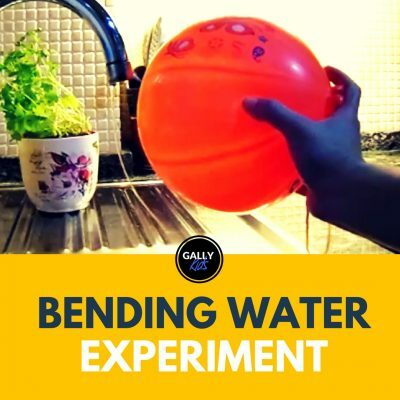 What happens when you pull the rubber band of a slingshot? You feel the tension, right? You feel that band getting stretched and you know it’s going to bounce right back when you let go of it. THAT is what’s at work in this amazing exploding stick bomb project. When you weave the sticks together, tension is created between the sticks. Every one of the stick in your weave is bent, creating tension in each of the stick. Because of this tension, the sticks are desperate to pop back straight and be free from all the tension that’s being forced into it. 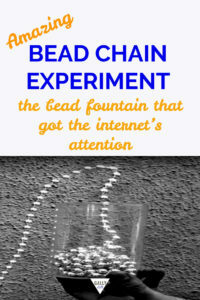 This tension creates a lot of potential energy in each of the stick in this weave chain. 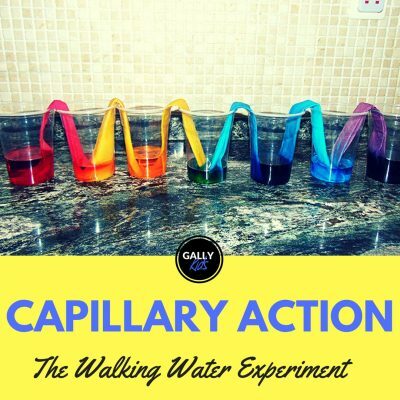 And when you release a stick by either pulling or flicking it out, you create a kinetic chain reaction from one stick to the next, resulting in the amazing “stick fireworks” display. You can create even more tension by using 2 layers of sticks instead of just one. This causes even more tension and will cause a more powerful explosion. Don’t forget to wear goggles! This isn’t as easy as it sounds though. I can’t emphasise enough the patience and time you need to make these stick bombs. If you’re a complete beginner, give yourself time to do it.The ortho and cobra weave are easy, so start with these. Here at Gally Kids, we have not been that successful with the diamond weave though — for lack of patience more than anything. The possibility of an explosion in your face is very possible, so again, wear goggles and watch the very little ones. Doing this on the carpet makes it easier to stick the sticks in between two sticks as the surface is not as rigid.